Codecs are the encoding that allow your Bluetooth headphones to get data, and they're getting better, but it's not one-size-fits-all. Check out the SoundGuys Podcast on iTunes! This episode “Codecs: The alphabet soup that matters” can be downloaded here. Below is a full transcript of the podcast. Be sure to subscribe to iTunes for more episodes! So when you’re looking at the latest Bluetooth headphones this Black Friday, you may be greeted by an alphabet soup of things called “codecs”. Codecs are, simply put, what allows a set of headphones to play music from your phone and they can be a little confusing, so we wanted to take you on a little tour of codecs, what they are, why they matter, and what the future of Bluetooth will bring, so you can find the right set of bluetooth headphones for you, or for that special someone on your holiday list. Bluetooth technology is fairly new, seeing as it was developed in 1989, for use with wireless headsets. It’s a packet-based protocol that operates on limited bandwidth between 2402 and 2480 megahertz, or 2400 and 2483.5 megahertz, hence why we often hear that something operates on a 2.4 gigahertz signal. Although this is sufficient for procedural practices it’s still not able to transmit high-density information such as lossless audio. And before diving into Bluetooth codecs’ performance, it’s important to understand what a Bluetooth codec is. It determines how a Bluetooth signal is transmitted from a phone to your headphones, earbuds, or speakers. A codec encodes and decodes digital audio data into a readable format, kind of like translating from one language to another—one device to another. In a perfect world, this means that your streamed song requires a minimal amount of bandwidth for playback, without compromising sound quality. But then you have to take into account a file’s bitrate. A lower bitrate means worse audio quality because there’s more data compression. To bring it into the real world: if you’re told to memorize 20 facts in five minutes, your recall accuracy will be compromised. After all, that’s a lot of information to commit to memory, or compress, in just five minutes. However, if you were given five minutes to memorize one fact, the efficiency decreases but the recall, or playback, accuracy increases. Finding the right codec recipe is hard, and as Chris will tell you, codecs produce real-world listening consequences. 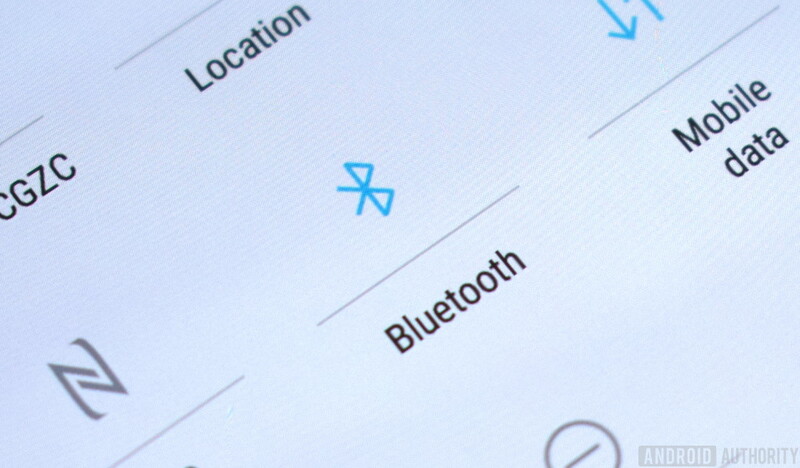 Bluetooth as we know it is relatively mature compared to its early days, but that doesn’t mean it’s perfect. It meets the basic performance benchmarks to satisfy 70% of the listening population’s music needs, and that’s pretty damn good considering the original purpose of the standard was to carry voice data and nothing else. The truth is it just wasn’t meant for the massive amounts of data that’s contained in music. Modern Bluetooth has mostly solved the issue, but there’s still some hiccups that happen depending on which codec you’re using. For many years, that codec was the Sub-Band Codec, or SBC. On all bluetooth headphones, this is the “lowest common denominator” standard that all devices must be able to use. It’s okay, but not great, and it definitely gets a bad rap after many years of crappy equipment. AAC is a remarkable achievement in sound compression, but it only works right on Apple equipment. For example, AAC is a monument to our achievements in compressing audio data—deleting noise we don’t want by attenuating sound we couldn’t hear anyway. That might sound familiar, because it’s exactly what we talked about in our first episode – the History of the MP3. But AAC builds upon the legacy of MP3, has the lowest latency of any codec, and by all accounts is one of the best ways to listen to Bluetooth audio, but it only works as well as it should on Apple phones. You see, Android, through its wizardry of optimization overlooked one key area, and its attempts to ensure a more stable connection mean that phones will arbitrarily cut off the highest of the high frequencies, and introduce some noise—not a lot, but some—to the range of notes that make up most voices, low instruments, and drums. It’s frustrating, but not unexpected. Most listeners won’t be able to hear this when using Samsung, LG, or Google phones. I mean, I certainly can’t. However, younger ears will pick up on this. Switching to LDAC might fix your quality issues, but it depends on your phone. Most Android phones default to the goldilocks setting of 660kbps data transfer, but the Pixel phones default to 330kpbs. While that may just seem like a boring list of numbers, it means that you won’t be getting the best quality out of the box, unless you tinker in the developer settings. But like everything with Bluetooth, there’s a tradeoff. Both of the higher quality modes can sometimes introduce drops in your music when you move your arm in between your pocket and ear. You see? It’s not ideal. That happens because of a disruption in data transfer that this higher quality codec cannot compensate for. If you want higher quality music, you might get a more tenuous connection. If you want AAC quality, you won’t find it on an Android device. It’s all about the trade offs. But it’s not all bad, or at least it won’t be. Hopefully. What I mean is there’s still hope for Bluetooth to be good. At IFA 2018, just a few months ago at the time of this recording, Qualcomm made an announcement that they’re releasing a brand new codec sometime soon called aptX Adaptive. Rather than being a static connection transferring data at a specified bit depth, aptX adaptive is, as the name suggests, adaptive. So depending on the connection strength it can adjust the data that it’s sending. Think of it like a pipeline. The bigger the diameter of the pipe, the more water will flow. AptX adaptive can adjust the amount of data (or water) it sends depending on the size of the pipe. This should hopefully result in a stable connection with less dropouts. If we want to be technical, which of course we do, aptX adaptive bitrate scales between 279kbps and 420kbps for CD and Hi-Res quality. It even has aptX low latency so you won’t feel like you’re watching an old kung-fu movie when you watch YouTube videos. Keep in mind though we still have to test this out ourselves, but from the technical specifications we have to admit we’re pretty excited here at SoundGuys for aptX adaptive. But aptX isn’t the only technological advancement to be on the lookout for. 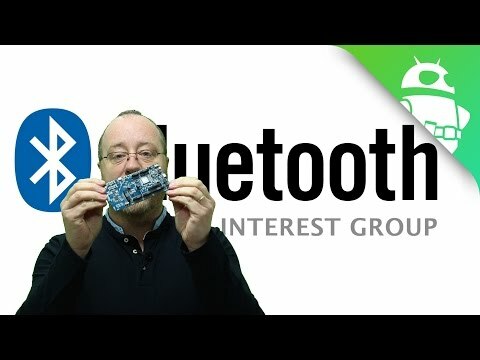 Bluetooth 5 anyone? Now, while it’s true that Bluetooth 5 is more of an important upgrade for IoT devices, there’s still some upgrades that things like headphones and speakers can take advantage of. For example, Bluetooth 5 has double the throughput speed of Bluetooth 4, allowing for faster data transfer between devices. Now, I could explain this to you myself, but instead, we’re going to go to an expert in Bluetooth tech, and throw it over to some clips from a video made by Gary Sims of Gary Explains fame. So, he points out on our sister site Android Authority, Bluetooth 5 is more like 1.7 times faster than Bluetooth 4.2. See, Bluetooth 5 doubles the data that’s sent within a set time frame, but the interval of time that the data is sent remains the same. Basically, it’s like if you handed your friend a letter every morning. Bluetooth 5 can just fit another sheet of paper inside the envelope. So you’re still handing your friend the same envelope every morning, but Bluetooth 5 has more information. Plus, Bluetooth 5 is able to transfer more data over short and long distances when compared to older versions. But the difference between the two gets smaller and smaller the further away you get. What makes that exciting for us SoundGuys is that chances are you won’t be 60 feet away from your headphones the next time you’re listening to music. When you decrease the distance involved, your connection becomes much stronger and much faster. If you’re tired of walking around with your phone in your pocket and having the connection drop every time your arm gets in the way as Chris said earlier, Bluetooth 5 looks promising. But wait, there’s more! Order now and your Bluetooth 5 also comes with a FREE lag free connection! That’s right, Bluetooth 5 is down to less than 40ms of lag. Now don’t get me wrong, we’re not saying these solutions are going to be perfect, and we definitely need to get some of these new technologies in to do some of our own testing, but if you combine the low latency of Bluetooth 5 with the low latency of aptX adaptive AND the transfer speeds of Bluetooth 5, the future is looking bright. Make sure to refer listening to SoundGuys.com for lists of the best headphones you can buy. Refer to lists in the show notes in your conclusion (and give me a couple of links that I can put in there for ya. That’s going to do it for this episode of the SoundGuys Podcast. The SoundGuys podcast features a special guest appearance by Gary Sims of Gary Explains and Android Authority. Podcast research and writing by me, Lily Katz and Adam Molina, with additional editing, sound design, and podcast production by Adam Doud. Music is supplied by Epidemic Sound. Stay tuned to the SoundGuys podcast every month for more adventures into the world of sound as you’ve never heard it. From all of us to you, Happy listening.